Is there a candle I can do that will direct negative energy back to someone if I don't know who the person is???? One of my neighbors is harrassing me to remove my bird feeder and the old man next door to remove his flag - yet the letters are anonymous. Use a phrase like "my enemy" or "the evil one" or "my a@@hole neighbor" for your petition paper. Then put one of the letters they wrote under the candle too - you'll want Reversing oil and a black candle, or a Reversing vigil from LM. If you're using an altar candle, then carve the name you've given them into the candle in mirror writing (backwards). You can place the candle on a mirror that you have NOT looked into - dollar stores are good for those, and surround it with crab shell powder (for turning things back). Anyone know if there's a candle or another type of work that you do to just sort of give everyone who in the past few years has caused you grief a dose of their own salts. Not DUME, not even sure who all caused the grief. Sometimes it the people who smile to our faces who stab us in the back; so we never really know. Is there something to do that just sort of paybacks the people who caused us grief. Payback in kind. Reversal seems to be for specific people, etc. Maybe Destruction? Just a general comeuppance sort of thing. I think we all have times when we would like to send crap energy, disloyalty, lies, gossip, and hard feelings back to the random folks who sent them to us. Actually, you can work Reversing, or any sort of reflective work, even when you don't know specifically who has been causing you problems. Instead of using peoples' names, you use the words "my enemies." This can also be helpful when you do know *some* of the people involved, but not all. It allows you to target all your enemies, not just the ones you know of. Great, I have so much luck with the vigiil candles. I don't want to do anything major, just tired of the people who use, take, etc. Cut & Clear is great, but sometimes people need a taste of their own medicine. None of them "cursed" me, just been users. I understand where you are coming from, yet I think it would be just a waste of time trying to get everyone that ever did you wrong, and used you. i mean if you do not know even know the NAMES of the people that caused you grief, and make your life hard then...I would say that its not even worth it. I mean that is LIFE. People are going to send negativity your way, spread rumors, send crappy negativity your way and so on. Its life...and doing this candle isnt going to stop any more of that from coming your way. Just think of those people as lessons in your life. Lessons that you need to learn from and MOVE ON. I am not saying that those people had the right to do that...but dang if I went back and tried to get back every single person since I came out of the womb that talked ill of me...I would be wasting my energy, time and money on people that arent even worth it. Its like you are still sulking on these people why? Just learn from it and move on. again - great points all around. Not to excuse my hot head lately, but I work in a cut-throat profession and sometimes it sinks in there's no loyalty among thieves. People will step on you, use you, do whatever they need to get ahead and then toss you aside after they get what they want/need. I also seem to attract men who are also very type-A and have the same opportunistic personalities. I think some cleansing and clarity would do me a world of good. I need to get my priorities straight and perhaps find myself in a totally new place in life. Thanks again to everyone for their kind words and support. You all are the best. For men, well seems you need to do some wisdom work clarity, and cleanse as you said. Then do some attraction work to attract a man with the qualities that you would like. 1 fellow keep on making mess in my life..i didn even had disturbed him b4..i dun noe his name,,,please suggest me a idea to make him regret?? If you don't know the person's name, try working a Reversing spell and use the phrase "all my enemies known and unknown". That way it reverses any evil that *anyone* is sending to you. Hi, i see all the revenge spells are of people known. But what can be done( if anything) if the people who need to be worked for revenge are unknown? A couple of years ago, 4 men wearing skull caps waited, hiding in my back yard until my husband made it home. When he got out the car, they rushed him, beat him with guns and robbed him, taking his money, they also tried to come into our home where our kids and myself were sleeping, but some kind of way, he convinced them to take what they had and leave. We don't know who the guys are, although, someone told my husband who they thought it was and they have robbed a few more people. My husband head was swollen bad, we were in a hurting rut for a long while. I've always been the type who felt people should pay for their wrong doing. I only been secretly doing candle spells for the last 2 years, but only found LM forum and online shop/ products a few months ago. Before that, i only did money and love candles using olive oil, catnip, cinnamon, ect, from things in my home, but now that I have access to order the right oils, and powders, i really want those selfish, evil slums to pay. They need to get jobs and stop taking other people's rent, mortgage, money for food to feed their families and make their own money. I appreciate any answers for if and what can be done. Not sure if reversing candles are for more than reversing jinx and hexes, and without knowing for certain who the robbers are. Yes, there is a topic like this and I have merged your post to it. Yes, you can still perform these spells. You just change the names to "the robbers"
I hope you catch them. Blessings to all I think happy new year I was wondering when burning a 7 day come to me candle come to me, incense on the parchment paper for my petition, do I have to fold it a certain way? And do I place it underneath the candle? Have you tried Hotfoot spells? I am seeking help for revenge on my man(boy)friend and some other female that he cheated on me with and got her pregnant. He claims that he fucked up and that they both don't want the baby and he has no other choice but to take care of the baby, which is fucked up... He want tell me who she is or anything else about her. He claims that she doesn't know me but she knew that we were together. I'm mad because I've been with him for three years strong and has done everything that I could possibly do for him as well as gave him money after money to contribute to his gambling addiction that made us go broke. I'm hurt that he didn't care about my feelings and has brought this other female into our lives. What can I do? Please help. 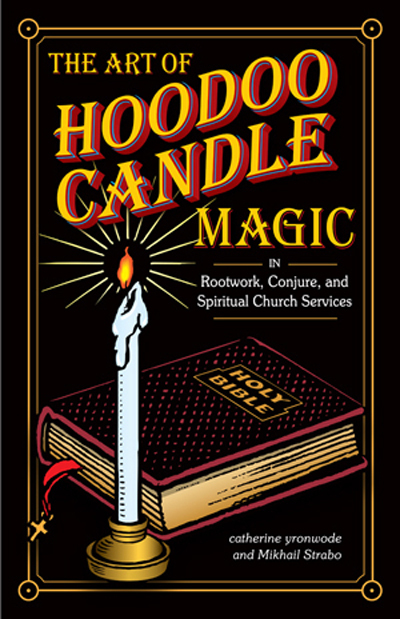 Quick question, what does it mean by "consecrated black candle?" Consecration is to make something sacred or holy, to cleanse and bless it to put it another way, for religious/spell work. In Hoodoo terms I would say the closest thing to this is "fixing" the candle. The way this spell is written, including "watchtowers" "three fold law" and "so mote it be!" leads me to believe this is of a Wiccan type origin. There are many ways Wiccan's consecrate objects depending on their tradition. Yes you could dress the candle with these products for a revenge spell, but I sure hope your cause is justified, especially since you're doing this work against a pregnant woman. Do I need to order a LM candle or any black candle would be suffice? Okay so any black candle would be suffice? But would it be better if I purchased a black female candle and did some work on the candle before dressing it with the proper oils and saying the spell? No one can tell you if it would be "better" to purchase with a black tea light or a black female figural candle. It depends on what you want to do. You can pray or curse over either one equally, but although you can't use a tea light as a doll-baby, for instance, a figural candle works well in that context. I’ll just purchase a regular black candle for now and if necessary I’ll purchase a figural candle if I need to redo the work. Since I’m trying to go ahead and do this spell. I’ll still purchase the book for my own personal knowledge and understanding. Thank you! Can the spell pasted above “Curse of Revenge” be used on anyone? Are you talking about the "Curse of Revenge" spell or something else? If you're talking about the "Curse of Revenge" spell, yes it can be used on anyone, as long as the work is justified.